For now we are releasing for only windows 7. If you dont have .Net framework installed on your machine , enable Microsoft .net from "Turn on Windows Feature On or Off" option, To do that Open Control Panel and follw the following steps to enable it. Press "Programs" or "Programs and Features"
8. If you have already configured you need not worry about configuring again unless you want to change access point name or password. 9. Once configured if you want the same access point and password just press start button virtual wifi will be created and waiting for connections. 10. Once it is started you can minimize it to tray and work on it from system tray. If you are using the latest version(Version 2 of virtual WiFi Router) The following steps are not required. Even you can check this Microsoft link. 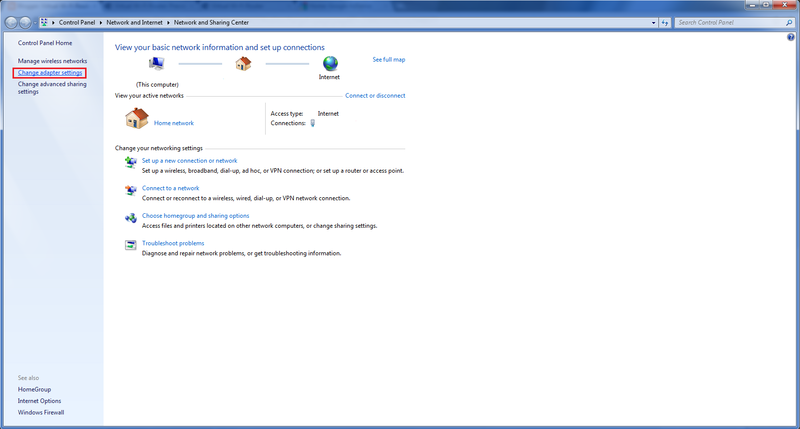 Select "open network and sharing center"
Eg : "Local Area Connection" or some usb internet dongle interface. Select the check box as show in the figure and select the newly created wifi adapter. if you see any warning press ok button.